The Botanicals section of Free Vintage Art is new. There’s not as much here as I would like, but, it will contain plants, trees and all sorts of vintage botanical goodness. 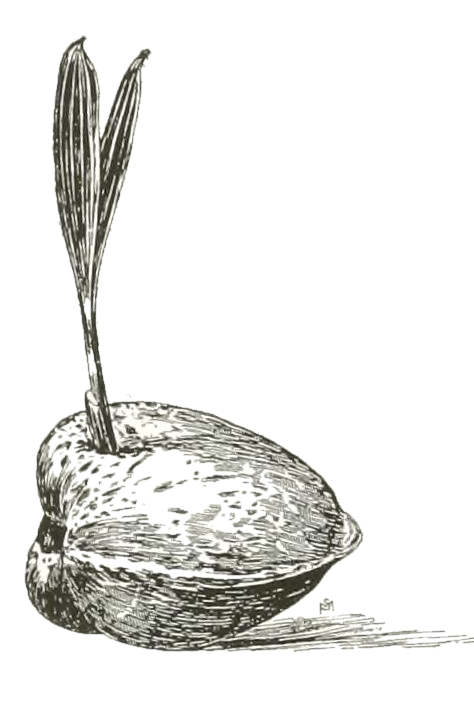 Vintage coconut seedling drawing from 1916 showing the young plant growing through the coconut husk. Vintage coconuts drawing from 1916. 11 of these wonderful drupes in a black and white line drawing. 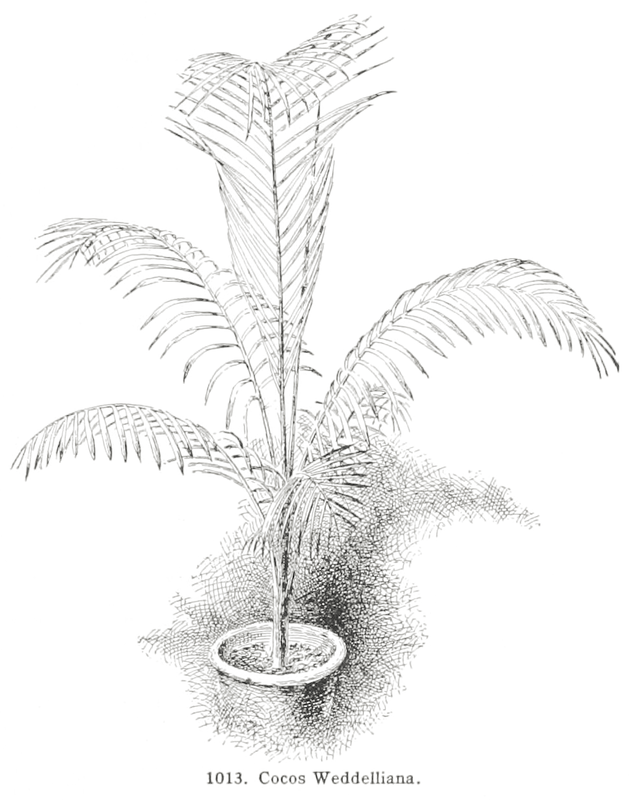 It may no longer be called Cocos Weddlliana but this vintage botanical illustration of the Lytocaryum weddellianum plant is still a lovely little palm tree.